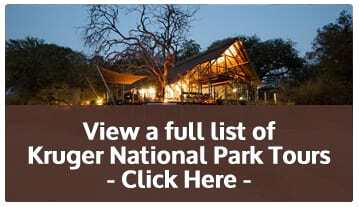 The 4 night/5 day Camping Kruger National Park safari tour is an ideal option for travellers who want to experience the wonders of South Africa’s iconic national park and its incredible animals and birds, including the famous Big 5. The Kruger Park is renowned for its incredible biodiversity and rich cultural history. This tour offers you ample time to explore the southern region of the Kruger and provides a glimpse of the vast wilderness region that falls within the internationally-declared Kruger2Canyons UNESCO Man and Biosphere.